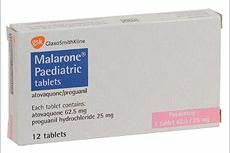 Malarone Paediatric is used for the prevention and treatment of malaria in children. It is particularly suitable for short trips to areas of the world which have become highly chloroquine-resistant. Malarone is licensed in the UK for continuous use up to 28 days, although it is sometimes prescribed for periods of up to 3 months. The child dose varies depending on the weight of the child. For children between 11-20kg, 1 tablet should be taken daily; between 21-30kg, 2 tablets should be taken daily as a single dose; between 31-40kg, 3 tablets should be taken daily as a single dose. The child should start taking the tablet(s) 1-2 days before entering a malarious area, and continuing for 7 days afterwards. For example, one child who weighs 25kg travelling for 14 days in a malarious area, would need a total of 44 tablets: 2 + 28 + 14 = 44. 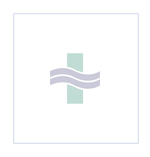 For more information about the dosage and side-effects of Malarone Paediatric, click here to download the Patient Information Leaflet from the Electronic Medicines Compendium.